The land of the Inuit is called Nunavut, this term means simply our home-land which stretches over a big arctic territory in the North of Canada. 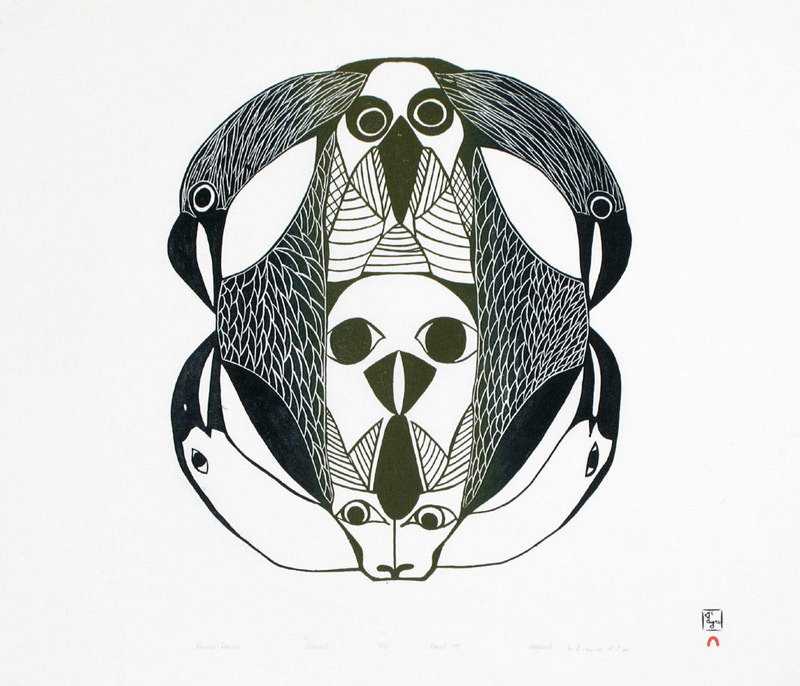 In the old Inuit mythology the raven was seen as creator of the entire world and all living beings with beats of his wings. He also had the power of both a man and a bird, and could change easily from one to the other simply by pulling his beak over his head as one lifts a mask. According their tradition the first human being was born from a pea-pod plant, because the raven also filled the land with growing pea-pod plants, and when after some time one of the pea-pods burst open, out popped a fully grown human being, the first to walk around raven’s earth. Another fascinating fact with which to fill up my brain in case I should ever get a question about this in a Quiz. Not very likely I know, so I shall try hard to throw it casually into conversation some time, as it deserves to be known by more people. Thanks for that. An interesting trivia. It’s so fascinating that different parts of the world have such different stories that totally leaves me in amazement. How diverse and different we are, yet so much the same. Thank you. This is very true.